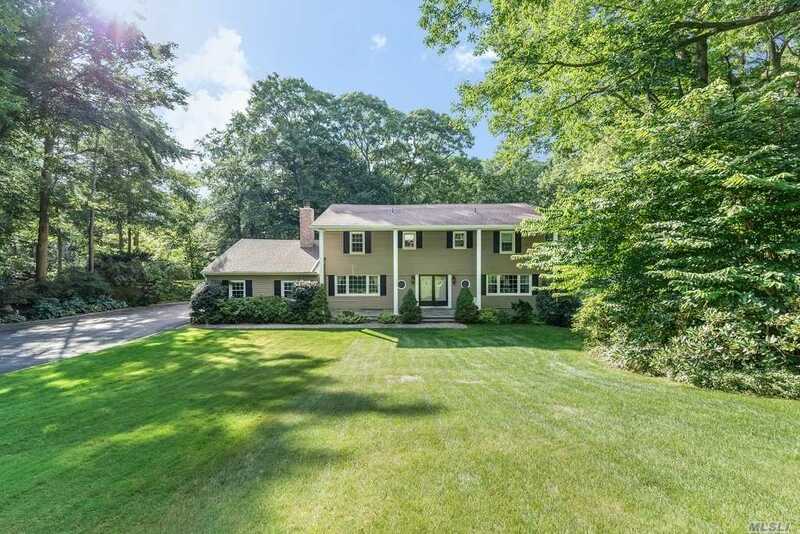 Traditional Center Hall Colonial Set Privately On 2 Acres At The End Of A Cul-De Sac And Backing The Fox Hollow Preserve. Beautifully Maintained With Wood Floors Throughout, Generous Entertaining Rooms, Fireplace In The Formal Dining Room, Den With Fireplace. Sun Room, Guest Bedroom & Full Bth Off Kitchen, Master Bdrm Suite W/Sitting Room Overlooking Lush Beautiful Property. 3 Large Bdrms W/Wood Flrs And Full Bth Double Sinks. Fully Finished Basement With Plenty Of Storage.